This set contains four cones cut four different ways to reveal the different conic sections - circle, ellipse, parabola, and hyperbola. 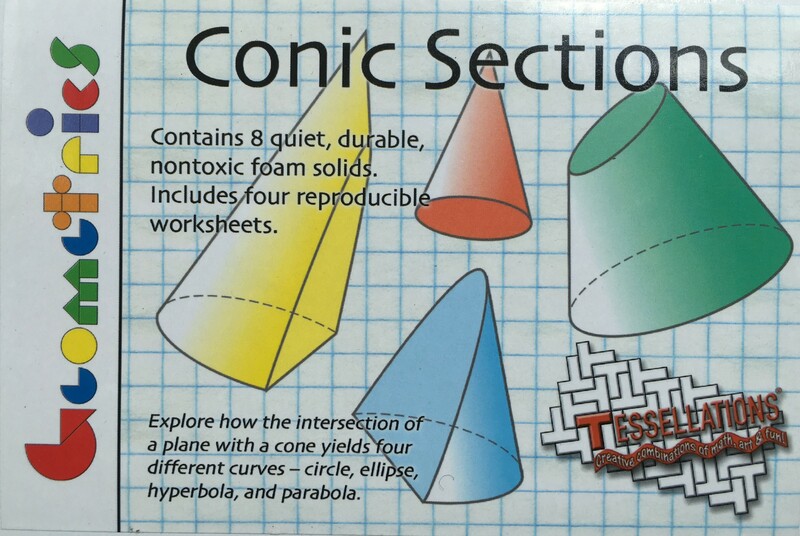 Four reproducible worksheets cover various properties of the conic sections, including their descriptions using Cartesian and polar coordinates, their foci, and their eccentricity. Cones measure 2-3/4" across the base and 4" in height.